As we near the grand opening of this year’s Epcot® International Flower and Garden Festival, I had the special and unique opportunity to meet Renee, a cast member who helps bring the beautiful topiaries of the festival to life. After Renee warmly welcomed me to the horticulture center on property, she led me back to the greenhouses where the topiaries are completed. There were several cast members busy at work, trimming, watering and finishing each character. Mickey, Captain Hook, Pluto, Belle and others welcomed us with a smile. It is difficult not to want to touch them; they are truly alive. Soon after beginning our tour, Renee grabbed a pair of scissors and started trimming one of the topiaries as she talked. After a few minutes of chatting with her, I could tell that Renee is incredibly passionate about her job in the horticultural arts. A 39-year cast member and Partners Member since her very beginning with the company, Renee found very early on that working in garden cultivation and management was where her talents would flourish. She remembers the hunger and thirst to learn it all as there was so much going on at the time: “I actually transferred down to the nursery during the construction of Epcot, and this place was just bustling. It was amazing,” she said. Over the years, Renee has had a hand in many of the gardening projects around Walt Disney World. With a smile on her face, Renee remembers a group of plants that she started from seeds that are now fully-grown trees at Animal Kingdom. Renee visits them regularly as if they are part of her family. As her green thumb developed, one of her leaders had an idea to create a moss topiary. “Our first was an elephant, and it was really, really heavy. We learned a lot from that first design,” she said. But that elephant had kindled her love and passion for topiaries—something that only grew stronger as the years went on. As I began asking more about the International Flower and Garden Festival, Renee amazed me when she said that they began working on the topiaries for this year’s festival almost a year ago—the day after they wrapped up the festival last June! It is all about timing and planting the plugs at the right time so that they are ready to flower by the time they are moved to the parks for millions of visitors to admire. While Renee puts time, effort, and care into each topiary, she admitted to me with a twinkle in her eyes that the Belle topiary is her favorite. As she walked me over to admire the princess, she talked me through what it took to bring Belle to life in the France Pavilion. “I was dying to create Belle,” Renee laughed. I left the greenhouse incredibly inspired and covered in that magical pixie dust that only Disney can create. Renee is an inspiration to us for the years of experience and talent she brings to the horticultural team. She says that she cannot do this alone, it is a team effort, something that reminded me so eloquently of Walt’s quote: “You can dream, create, design and build the most wonderful place in the world…but it requires people to make the dream a reality.” Renee and her team are a perfect example of that. This year’s International Flower & Garden Festival runs from March 6 to June 3, 2019—stop by and smell the roses and experience the magic that Renee helps create every day. It’s 4:30am when I meet up with some of my fellow teammates right outside the gates of Disney California Adventure. As we enter the park, the energy is palpable. In the distance, I can hear music at the starting line and cheers from the crowd. As we turn the corner to go down Hollywood Land, we are met with the massive crowd we heard a few seconds ago. Near the end of the street is an announcer getting ready to release the first wave; my team members and I are part of wave four. After a couple minutes, our 5k wave makes its way to the starting line. With an enthusiastic countdown from the announcer and a blast of confetti, we are off! I strategically find an open pocket to start running and speed off. I make my way backstage past Guardians of the Galaxy – Mission: Breakout! One of the most exciting parts of these races is getting a glimpse at the magic that goes on behind the scenes in Disney Parks; I take it all in as I run by the attraction buildings. A little bit later I get to Pixar Pier—it’s absolutely gorgeous to see it lit up. This is probably the only time I will ever see the park so empty as well! There’s so much room to run! As I leave Disney California Adventure, I am routed backstage into Disneyland. As I round the corner, a group of Disneyland cast members are cheering on the runners. “Come on, keep it up!” they enthusiastically shout, “Don’t give up, you’re almost there.” I push on and get a burst of speed. I make my way by Thunder Mountain and see something in the distance—it’s a group of Storm Troopers! There have been a few awesome photo opportunities so far, but this definitely is the coolest one. But honestly, I’m more of a Resistance guy, so I keep on pace to my goal. As I run past the Sleeping Beauty’s Castle and around Walt’s statue, I can see the finish line with the backdrop of Main Street. With an extra burst of energy I sprint towards the end. It’s over! I’ve made it all the way through both parks! As I look down at my running app it congratulates me with my record 5k time: 28:42! I feel a huge sense of accomplishment. As I look up I notice the faces of all the other participants and I can see that same joy as well. For a lot of these people, today was their first commitment to their new self, their New Year’s resolution. I am proud that I could have shared this same magical moment with them. Do you remember your Traditions experience? For many cast members at The Walt Disney Company, Traditions is a special memory; the excitement, getting your official name tag, meeting your new fellow cast members, and of course, a few magical surprises as well. 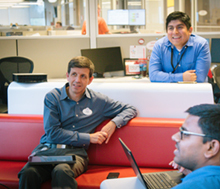 The Disney Traditions program introduces all new cast members to the culture and heritage of our Company. Each year, hundreds of talented cast members audition for the opportunity to facilitate Traditions classes. Partners is incredibly proud to announce that two members of the Partners family, Jenn and Sugeil, have been selected as 2019 Traditions Assistants! After finally being accepted as Traditions Assistants, their hard work wasn’t over quite yet. Jenn and Sugeil then had eight hours of material to memorize before their first class! Thankfully, the Traditions team provided amazing support and they were experts in no time. If you’ve ever wondered who dreams up the amazing merchandise found all over the Disneyland® and Walt Disney World® Resorts, look no further: it’s all thanks to the work of talented cast members like Deanne. “I was thinking recently that in 10 years or so, it’ll be time for me to retire. I know now that I have someone there who’s willing to look into my financial situation and help me see what’s ahead and what to do to prepare. 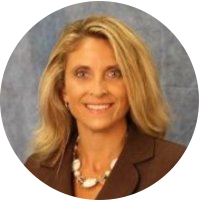 I have found it to be such a great blessing to have Partners,” Deanne said. At Partners, it is our culture to celebrate our CORE Values and recognize those who are dedicated to delivering outstanding service. 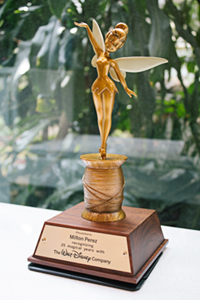 Our highest honor is the Penny Tonn Award, named after Partners previous President and CEO, Penny Tonn. Please join me join me in congratulating Irma, who not only lives the Core Values, but consistently delivers the highest standards of service to our Members. Watch the video for her warm, heartfelt reaction. So, if you happen to be on the Studios lot, pop in our branch and say hi to Irma and wish her well. On the Friday after Thanksgiving, I found myself standing in the middle of the World Showcase at Epcot. It was chilly—well, for Florida, the holiday lights lit up the evening sky, and guests all around me sported their favorite sweaters—it was definitely beginning to look a lot like Christmas. Everyone was heading to the same place: the America Gardens Theatre to see the Candlelight Processional. This year was my first time seeing Candlelight; so many of my friends love the show and make a point to see it multiple times a year, so I knew I was in for a treat. I was absolutely blown away. The beautiful stage, the orchestra, the singers, the feeling of togetherness as we sang “Silent Night” together—it truly was special. “It also gives us the excitement of being able to sing with celebrities, which is pretty cool,” Alex laughed. “I sang with Neil Patrick Harris a few years ago. I’m very tall, and the way they have it set up in the tree is that the tall people are in the front row, which is weird. That never happens! It’s very exciting because I’m almost always directly behind whoever the narrator is.” Check out the image above—that’s Alex next to Ming-Na Wen, the voice of Mulan! After talking with Alex and hearing her story, my love for Candlelight has grown even more. While it was a spectacular show on its own, learning how much talent, dedication, and camaraderie goes into each performance was inspiring. The Candlelight Processional runs through December 30th, 2018 at Epcot. If you haven’t seen it yet this year, I encourage you to go to experience the magic for yourself—once, twice, or even three times! Enjoy a Safe Holiday Season! As the holidays approach us, we are sharing some safety tips to help keep our Members safe throughout this holiday season! Holiday safety is an issue that burns brightest from late November to mid-January, when families gather, parties are scheduled, and travel spikes. Take some basic precautions to ensure your family remains safe throughout the season. Shopping for loved ones during the holiday season can be an exciting but overwhelming experience. If you are out shopping, make sure to keep these things top of mind to ensure a safe and successful trip to the shops: make sure to stay alert and be aware of what’s going on around you. Also, try to avoid carrying large amounts of cash—if possible, pay with a check or credit card. To deter pickpockets and purse-snatchers, don’t overburden yourself with packages and be extra careful with purses and wallets. If you use a purse, carry it close to your body, not dangling by the straps. For wallets, put them inside coats or front pants pockets. If you have younger children, teach them to go to a store clerk or security guard if you get separated. If you are making multiple stops on your way home from the store, try to park in a well-lit space, and always be sure to lock the car, close the windows, and hide any shopping bags and gifts in the trunk. If those packages are left out in the open, your car has become a likely target for thieves. We know that many of you might do a good portion of your shopping online. Recently, a few large companies have been victims of data breaches, which have potentially exposed the personal data of millions of customers. To keep your information safe, make sure you change your passwords regularly and avoid saving credit card information on websites. Most financial institutions offer a feature that will alert you any time your credit card is used online—we recommend turning this feature on so that you can keep an eye out for suspicious account activity. Consider installing reputable computer security anti-virus programs and firewalls. Above all, always be vigilant when online and be wary of any “phishing” attempts. Be very wary of any strangers who might come to your door this holiday season. Criminals can sometimes pose as couriers delivering gifts, so be cautious when accepting packages. It’s also not uncommon for people to try to take advantage of others’ generosity during the holidays by going door-to-door for charitable donations, even when there’s no charity involved. Ask for identification and find out how the funds will be used. If you aren’t satisfied, don’t give—help a charitable organization you know and like instead. It is our sincere hope that all of our Members and their loved ones have an amazing, enjoyable, and safe 2018 holiday season! Last Wednesday, I attended the year end mixer for Women@Disney. It was amazing to catch up with my friends and colleagues—especially those I met at my very first Women@Disney event. It felt surreal as we updated each other on our careers and how much has changed since we first met. My introduction to Woman@Disney was an event located at the Studio Lot to hear Brene Brown talk about the power of vulnerability. Not knowing what to expect or who Brene Brown was, but realizing it was good opportunity to network, I made my way through the sound stage, which was packed to the brim with attendees from all segments. Two hours later, I felt inspired and motivated to think differently, empowered to take control of my career, and determined to be more involved with this organization. As Brene Brown says: “most people believe vulnerability is weakness. But really, vulnerability is courage. We must ask ourselves…are we willing to show up and be seen?” This was also the event that inspired me to join the Women@Disney leadership team. 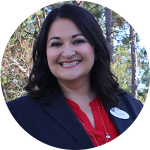 Since joining the Women@Disney leadership team over a year ago, I have had the opportunity to explore what it takes to create and develop communication strategies for The Walt Disney Company. This community has given me the confidence to develop skillsets outside of my previous role and meet with people across the company. 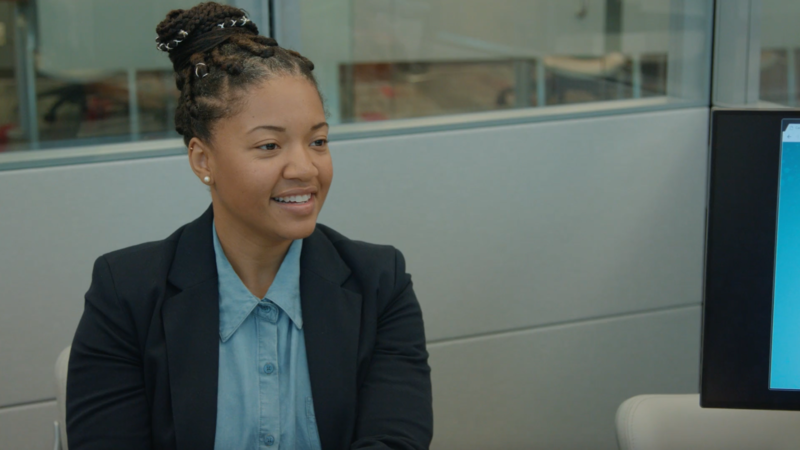 The Woman@Disney group is full of passionate individuals from around the company, eager to share their experience and knowledge to help others grow. What I love most about this group is the constant support from my mentors and peers, who push me out of my comfort zone and allow me to grow professionally. This led to me to my current role at Partners, where the right opportunity came at the right time. I was looking for a change in my career and a role that would continue to challenge me. Because of Woman@Disney and the support system we have, I am now in a position to put what I have learned into action. The network and support from my fellow colleagues is ultimately what propelled my candidacy into the role I am in today. I encourage you to find a group that will inspire you the way Woman@Disney has inspired me. After talking with Chris, hearing about his journey to Disney and the passion he has for his show, the cast, and the characters, I feel electrified and creatively inspired. The fan art reflects Rapunzel’s love for creativity and curiosity–the love for this show is definitely on display here. It is so inspiring to see a creative lead drive so much passion into one show. The spirit of Disney is alive in the halls of Rapunzel’s Tangled Adventure. I recently had the chance to experience Mickey: The True Original Exhibition in New York City. Mickey is celebrating his 90th anniversary this month, and the excitement surrounding it has been palpable. As a cast member, I certainly see my fair share of Mickey on a daily basis, but this exhibition certainly takes the cake—no pun intended. It’s an unbelievable celebration of all things Mickey, featuring a curated collection of art that awes, inspires, and even encourages you to leave your own Mickey-inspired mark. 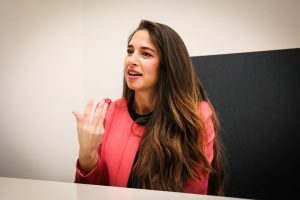 After experiencing the exhibition, I had the chance to sit down with Elise Barkan, Director of Global Franchise Development and Marketing at Disney Parks, Experience and Consumer Products. Elise oversees Disney franchises including classics characters like Mickey & Minnie, as well as Disney Junior, Disney Channel & Disney Live Action Studios. 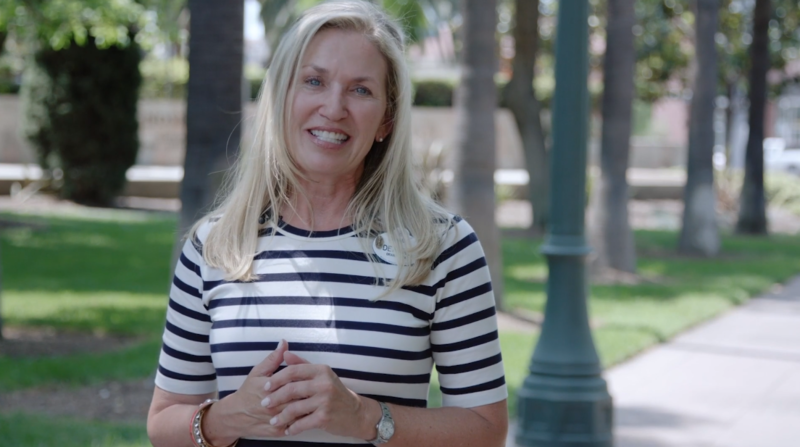 She is the executive producer of Mickey: The True Original Exhibition, and the perfect person to learn more about the inspiration behind this one-of-a-kind project. “We also knew it was really important to bring archival pieces. The dialogue between our archival pieces and modern art is really speaking to Mickey’s staying power. We have Annette Funicello’s sweater from the Mickey Mouse Club. We have the first Mickey Mouse watch. That just really allows you to take a step back in time, but you’re also standing next to the most important contemporary artists reinterpreting that again,” Elise explained. “That’s what I had been expecting!” I said. Mickey: The True Original Exhibition, located at 60 Tenth Ave in NYC, is open now and runs through February 10, 2019. As you may recall, my spouse and I embarked on this adventure of selling our home last year and building a new one in order to have my mom come live with us. 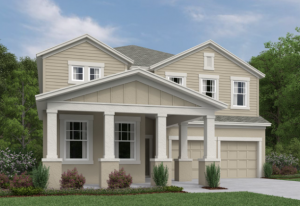 We found a home plan in Winter Garden that would give her space to have her independence while still providing our family with a close connection. We have reached the finish line of our story and this is how it all turned out. A month before closing, it seemed that not much happened inside the house–but every time we stopped by, we found one or two surprises. If it wasn’t that the wood floors had been installed, it was the cabinetry, appliances or light fixtures. I could start seeing how all the selections we made months before at the design center were starting to look in the space, and fortunately all the elements played well together. We became a little worried because we had been keeping a list of things that were still not done or had been done incorrectly. A week before closing, we had a formal walk-through with the project manager to inspect the home and learn how everything worked. Many of the items on our running list had still not been taken care of, and that alone made us uncomfortable considering our closing was only a week away. The project manager assured us that all corrections would be made by closing. (Closing, or settlement, is the final step of a real estate transaction. On that date, all parties in the real estate transaction sign the necessary documents. After signing, ownership transfers to the buyer.) That last week, we finished packing and making all moving arrangements. We were closing on a Tuesday, and for strategic reasons, we decided to move on the Friday and Saturday of that week. This would give us a few days in case the closing got delayed either by the builder or the mortgage lender. Closing day arrived, and we were overjoyed! That day, we had a pre-closing walk-thru to ensure that all items in the list from the previous week had been corrected. Thankfully most of the items were completed with three remaining that would be taken care of the day after closing. We then drove over to the title agency where all the documents were ready without any delays. We were met there with our sharp and loyal real estate agent who was amazing and patient throughout this whole experience. The process took a little over an hour altogether. After signing, we received the keys to our home and took photos holding a giant key to keep as a memory of this eventful day. We were just so filled with emotion, not only because we were finally able to give my mom what she needed and wanted, but also to have this project completed for our family to be in a comfortable home for many years to come. In thinking how to end this adventure, I couldn’t forget the fact that we all have the same hopes and dreams. 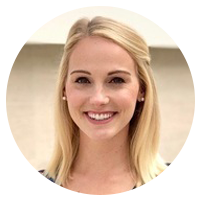 As a young adult, I didn’t think that I could ever afford buying a home, but I had hope and became informed about government assistance programs for first-time buyers and made that first step into owning a home a reality many years ago. Four homes later, we built a new home from the ground up. In our minds and hearts, this project started about two years when I got the initial call from my mother about wanting to retire, and we offered for her to move in with us. Since then, we hit some good and bad moments, mostly good ones; but above all, we kept a positive attitude which made a world of difference. For us, the financial situation was big. Could we afford a bigger home? Could we get a loan for so much? There were a lot of unknowns, but I realized that we were not alone in this ride. In the end we were able to get what we needed in a realistic affordable way. I am thankful to our agent, our sales rep with the builder, our mortgage advisor at Partners, and numerous others that supported us throughout this process. Without their support, this dream would have never become a reality. Now on my new drive to work every morning, I pass by the Disney entrance sign that reads “Where Dreams Come True,” a daily reminder that our dream indeed became true. Congratulations Hilda on 25 Years with Disney! Recently Stephanie, the Branch Manager at BVP, came to tell us about Hilda and her 25-year career with the company: “In the past five years I have been here, I never seen Hilda without a smile on her face.” Hilda is a teller and is often found sitting at the greeter’s desk at the front, ready to welcome our Members into the branch. From talking to Stephanie as well as a few Members, I soon learned that nobody can say enough good things about Hilda’s positive, uplifting personality and her genuine kindness and positivity for everyone she encounters. I knew I had to hop on the phone with Hilda to learn more about her story! Whether it be her fellow cast members or a Member coming in to visit her, Hilda brightens everyone’s day. It is amazing to think that Hilda has providing such incredible and thoughtful member service for 25 years–here’s to many more years of smiles! Congratulations Hilda! Unless you’ve been living under a rock, I’m sure you’ve heard that the one and only Mickey Mouse celebrates his 90th anniversary this month on November 18th! I’ve been celebrating all month long in any way I can; I tuned in to Mickey’s 90th Spectacular on ABC, participated in the #ShareYourEars campaign, and also made sure to eat plenty of birthday cake-flavored Mickey Mouse Oreos! As someone who is eager to celebrate any way I can (being a cast member and huge Mickey fan), I was really happy to find out that participating in the festivities can be as easy as picking up your phone. In honor of Mickey’s anniversary, Disney is running a special promotion on many of the amazing apps and games you can find in your favorite online app store. While there are some great discounts, I personally am most excited for the many limited-edition Mickey-themed gifts to discover and download! One of my favorite games to play is Disney Emoji Blitz. When I lived in New York City, it was my game of choice to play while commuting on the subway! It’s a fun, fast-paced matching game, and I love collecting the hundreds of Disney, Pixar and Star Wars emojis. I’m certainly nowhere close to collecting all of them, but I’m getting there! Oh My Disney even has a fun quiz you can take to figure out which Disney emoji you are. From the 15th to 20th this month, if you complete the “Clear the Frosting” event, you will be awarded Steamboat Willie Mickey, Sorcerer Mickey, or even the new, exclusive Rainbow Mickey. The Disney Stickers: Mickey & Friends app is currently half off and also features an exclusive treat: a special Mickey Birthday sticker. I know I really enjoy impressing my friends with my stickers when I’m texting them, so I’m definitely going to be gearing up for Mickey’s big day with this timely (and adorable!) sticker collection. There are SO many other apps and games that are also joining in on the celebrations. In Disney Heroes: Battle Mode, players will be able to add Mickey himself to their teams during a week of special contests and events. Disney Magic Kingdoms is welcoming the classic versions of Mickey and Minnie from Steamboat Willie to the game. Disney Junior Appisodes, Castle of Illusion Starring Mickey Mouse, Kingdom Hearts Union X, and Disney Epic Mickey 2: The Power of Two are also offering special promotions. There’s something for everyone, so make sure to check out your favorite Disney apps and get involved in the birthday fun! Although I travel to California often, this time was different. I spent most of my time traveling around Burbank and Glendale, with an after hours midnight soiree at Pixar Pier, visiting with my friends and colleagues within Disney. I should disclose that although I promise this wasn’t planned, the fact that I was going to be in town for quite a few key events made for a very exciting week–especially because if you know me, you know I love events! To kick off my week, I joined my colleagues from Mas+ and Voces Business Resource Groups (BRG) for a few of their Hispanic Heritage Month events. The next day, Cindy and I had the privilege to see a “Trans Can Work” panel, where we gained valuable insight into how to create an inclusive environment for transgender people in the workplace. Our next event was near and dear to my heart; we had the opportunity to attend an executive panel featuring executives from ABC who discussed how they approach developing Hispanic/Latino content by with the Hispanic/Latino community in mind. As a fellow Latina, ally of the LGBTQ community, and a leader of the Walt Disney World Diversity Resource Group, HOLA, it was great to experience the partnership, camaraderie and support amongst the cast members and employees within the corporate community. Having the opportunity to build those relationships and to see and live the passion for the Diversity and Inclusion work, truly inspired me to continue to push forward and to continue to offer learning and engagement opportunities such as these for our cast members at Walt Disney World Resort. A few days later, as part of a new relationship with the College Program team in Anaheim, I was invited to their “Mid-Year College Program Celebration” at Disney’s California Adventure Park. And this event easily was the most fun…I really felt like I got the royal treatment. It was night of rides, characters, dancing, and yes, you got it—churros! Amidst all of the fun, connecting with my new friends from the College Program was the best treat. Standing on Pixar Pier with the group of new cast members, reflecting on everything I saw and heard made me so proud to work for this company. As someone who has been with Disney for over 10 years, sometimes I can lose sight of what makes this such a magical place to work; I know it was just one week and a few miles, but being able to have these experiences and build on these relationships while learning and being inspired by them makes me realize just how lucky I am and how fortunate I am to work for such an amazing company. The passion, excitement, and dedication that our cast members have for the work they do and the people they serve, is indeed what makes this organization one of a kind and is what motivates me to want to continue to build on that today and for years to come. So Angie, can you tell us about yourself and your career so far at Disney and Partners? Tell me about your first experience with Mickey? What would you say was your favorite Mickey moment? In light of his upcoming birthday, I can’t help but wonder what makes Mickey stand out from any other cartoon character that’s been introduced to us over the years. Because his name is synonymous with his creator, Walt Disney, and with the Happiest Place on Earth, Mickey Mouse represents an escape, a utopia of magic that allows the old and young to join together and forget all worries the world imposes. Mickey has been the ambassador of joy and happiness for 90 years and has touched the hearts of many, which is why no other company pays homage to a character the way The Walt Disney Company does. 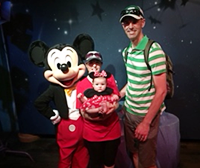 Thank you for sharing your Mickey story with us, Angie! Don’t forget to celebrate Mickey’s Birthday on November 18th. Soon, a man walked by the table. “I said, ‘Do you have any questions for me?’ He smiled and said, “No,” and started walking away, but he kept looking back.” Jessica explained. “I called him over: ‘Come on, David!’ because he had his nametag on. ‘I know you have questions for me!’” she said to him. Congratulations to David and Vicki on their engagement! Chris Sonnenberg, Executive Producer of Rapunzel’s Tangled Adventure, has just finished telling me about his incredible early career at Disney Animation. As we relax on his couch in his office, I can tell Chris is eagerly waiting for my next question. “So,” I ask, “what inspired the pitch for the television series?” Chris smiles and beckons me over to an old desk on the opposite side of the room. We get over to the other side of the room to the desk. This was Chris’s original animation desk from his time in Feature Animation. Adorned on top in a glass case is a beautiful painted leather-bound journal. Chris reaches for something on one of the lower shelves. He shows me a small paper journal with a ton of penciled illustrations on the front. Chris reaches for that leather bound journal in the glass case. That’s when I realize that the “pitch” for the show isn’t just an idea; it’s a physical guide. Chris brings the journal close so we can look at it. The journal has some beautiful painted forest creatures and branches on the front. “So right from my daughter’s journal, we created Rapunzel’s. We had Glen Keane’s daughter, Claire Keane, who painted the murals in Tangled create all the art for our journal. We wanted Rapunzel’s style to be half informational and half illustrative.” Chris explains the entire series is mapped out in the journal. There was a clear goal from start to finish on how this story was going to flow. Not only does the journal hold plot points for the show, but also observations from Rapunzel herself. We turn a page and there are tons of sketches of faces. There are some people from Corona, her best friend Cassandra, and one of when Eugene tried to propose to Rapunzel. Get ready to learn more about the cast and music in Chris’s Tangled Adventure part three, coming soon! There’s something extra magical about Disney parks in the morning. And I’m not talking the time in the morning you might be thinking of–when the crowds start rushing in, excited for what the day has in store. I’m talking about way before that: when the park is empty, and the sun is just barely rising over the horizon. I’ve been lucky enough to experience the parks like that a few times throughout my time with Disney, and it’s where I found myself early last Sunday morning. My alarm went off at 1:30 AM that day, partially because I was terrified I was going to sleep in and miss my shift, and partially because I was just so excited. 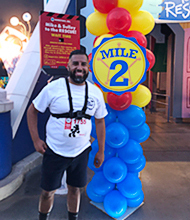 My Partners family and I had been working with the Be Well Cast Fitness team over the past few months, getting everything prepped and ready for the big event: the Cast & Family 5K Fun Run at Disney’s Animal Kingdom. I made my way to the front of the park, where I met up with my colleague Juliana. Even though it was pitch black out and unbearably early, we were both wide awake, eager to see the event unfold. We were stationed at the front table where we’d be able to help check in any runners who hadn’t yet picked up their bib. 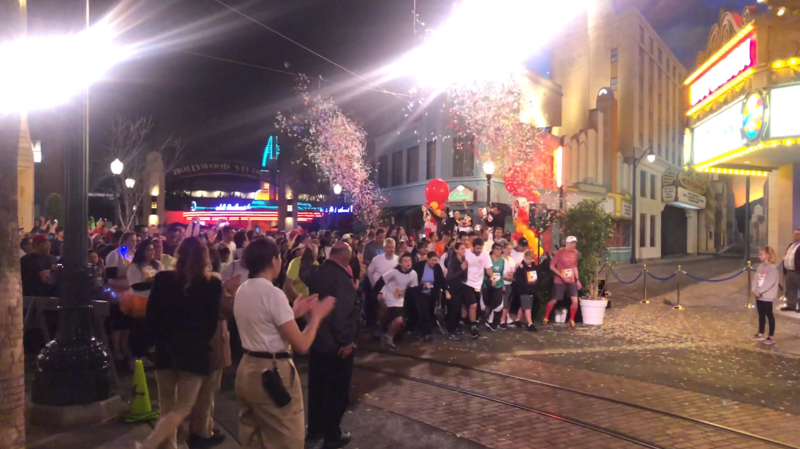 As people started arriving, I noticed so much Disney pride: runners who had dressed up as their favorite characters, cast excitedly sharing that this was their first Cast 5K, and even family and friends who had woken up in the wee hours of the morning to cheer at the finish line. While I had come to the event to assist the Be Well Team with logistics, I had also brought along my camera to take some photos and videos. When it became closer to 6 AM, the official race start time, Juliana assured me that she had the check-in table under control and encouraged me to head inside the park to start capturing the event. 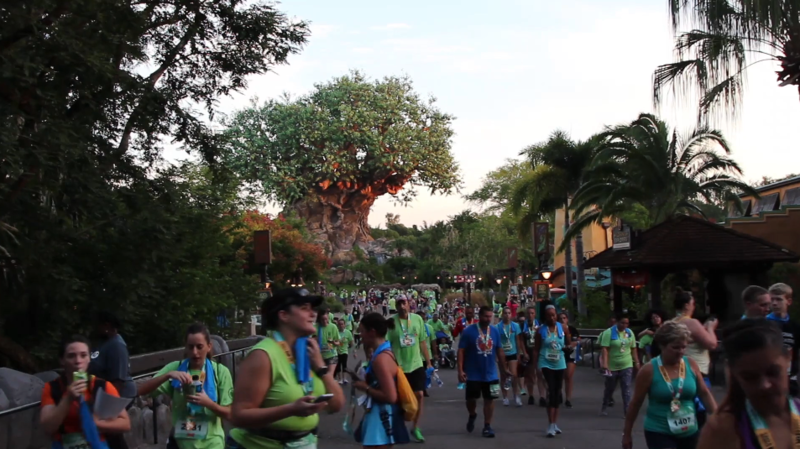 I made my way through Dinoland, following the sea of bright green shirts towards the start line. Before I knew it, the runners were off, making their way through the various lands. Animal Kingdom is by far my favorite Disney theme park. And I’m not just saying that for this article…it really is my favorite—hands down! So, while I was beyond happy to work this event, I must admit that I was a little disappointed that I wouldn’t have the opportunity to run through the park alongside everyone else. That’s why I did the next best thing: I grabbed my camera and ran off into the park after the runners, stationing myself along the way to capture as many moments as I could. I was able to experience running through Pandora – The World of AVATAR, which was stunning as it glowed in the dark, the bioluminescent pathways guiding the way. I ran past the Tree of Life, which stirred awake with colorful projections as we passed it and saw the mighty Mount Everest as the sun rose behind it. At the finish line, runners were handed their medals and went off to reconnect with friends and family. Mickey, Pluto, and other special guests were there to congratulate the runners on a job well done. There was such an amazing sense of community as everyone came together to celebrate the morning. Events like the Cast 5K really remind me how fortunate I am to be a part of this community. I’ll be the first to admit that sometimes, as a cast member, it can be easy to forget how special this place is. (Especially if it’s during the middle of the day, in the dead of summer in Florida, and you want nothing more than to leave the crowded parks and stay at home in air-conditioning for the rest of time.) But seeing the beautiful park come to life in the morning, surrounded by fellow Disney cast and family—it was absolutely magical. 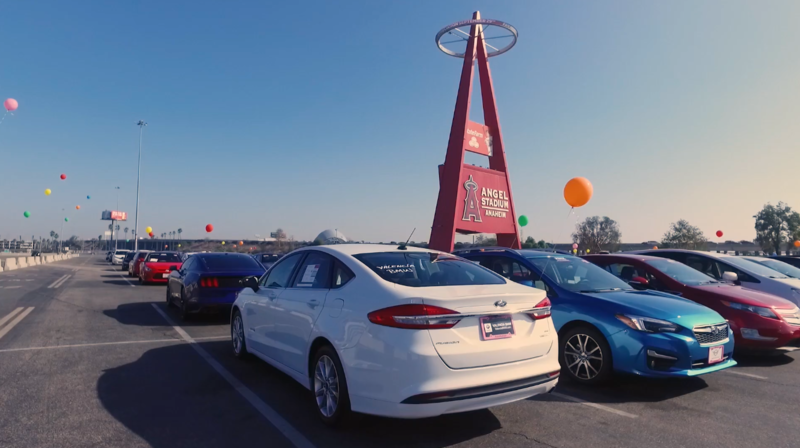 The Anaheim Car Sale Returns! The Partners Anaheim Car Sale is BACK! After two years on hiatus, the Car Sale made a glorious return to California. Thanks to the hard work of many teams across Partners, as well as the support of our Members, it was an incredible weekend–over 100 Members went home with vehicles! 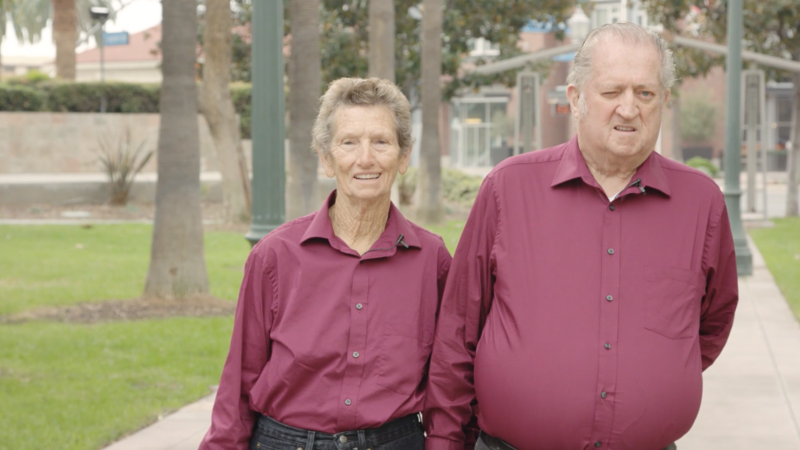 We sat down with Danny and Priscilla, two of the Partners cast members who were integral to the success of this event, to hear their thoughts. Tell us about the process of getting the Car Sale back in California. The California Car Sale was amazing. Based on the experience and feedback from our 2015 and 2016 indirect sales, both cast members and our Members have been asking for a car sale event with more of a Partners presence and Disney touch. We listened and set a plan in place. We began working with our Orlando Car Sale Leader/Committee and were able to integrate their process. With their help and guidance, we were able to execute a car sale that yielded over 104 sold vehicles funding over 2.1 million dollars. Although we were unable to offer Partners protections products such as MBI and GAP, we were able to protect our members with our PLP product covering approximately 40% of loan dollars funded. We were able to place over 100 excited and smiling Members into vehicles which made the many, many hours of preparation and hard work completely worth it. For our very first direct car sale, the feedback and results thus far have been phenomenal. What did it take for Partners to get everything ready for the big day? To get ready for the big day, it took coordination between CarsNet, AutoNation, Business Development, Marketing, Branch leaders and branch teams. Communication and support was pivotal and key to our success. We worked closely with our partners at the Disneyland Resort ® and our teams in Burbank, Glendale, and Florida. 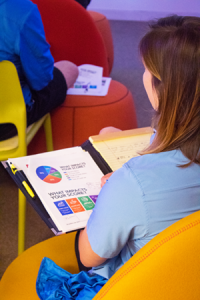 We specifically thought of each step our Members would take during the event to ensure a true Partners experience. Were there any particular Member stories from the event that you can remember? We had a young Partners Member, Lesley, who was so overwhelmed with emotion and excitement. She purchased her first car at the sale and was over the moon. She wanted to commemorate the day, so we let her know we would send her the “sold” sign she held, and she about burst into tears. We had another Member who worked for Mercedes. He said that even as a Mercedes employee, he couldn’t believe the deal he was getting on his wife’s new car. Thank you to our Members and our Partners Cast who helped make the Anaheim Fall Car Sale such a success! For our Orlando Members, make sure to mark the weekend of October 27th& 28th on your calendars—the Orlando Fall Car Sale is next! Last night, I had the amazing opportunity to attend Freeform’s Halloween House, an immersive experience inspired by Hocus Pocus and Tim Burton’s The Nightmare Before Christmas. Both films are celebrating their 25th anniversaries this year, and coincidently enough, two of my favorite Halloween movies, so I had some very high expectations. And let me tell you, I was not disappointed–it was spooktacular, lol! As we walked in, the lights were dim, and the air was thick with fog. It felt like walking into another world. The greeters led us to a room, which I immediately recognized: Mr. Oogie Boogie’s Lair! The space glowed with black lights and neon colors, and in the center was the infamous Wheel of Misfortune. We were asked to take a spin for a chance to win a trick, a treat, or something sweet. It must have been my lucky night because I landed on trick—haha! I was handed some squishy brains instead of cool prizes or treats my friends were given. I immediately forgot about my bad luck, because the next room was Dr. Finkelstein’s Lab, which was full of fun movie props, like the Deadly Night Shade and the reindeer skeleton. We made our way into the graveyard next, and what did I see? But the Lock, Shock, and Barrels walking bathtub… I just had to dress up like Barrel and get my photo taken in the famous bathtub as I brandished my axe for kidnapping Sandy Claws. The next stop was very near and dear to my heart: we visited the tombstones of Jack Skellington and Sally. #TrueLove. The graveyard was scattered with different tombstones from classic spooky movies, such as the Addams family and Hocus Pocus. 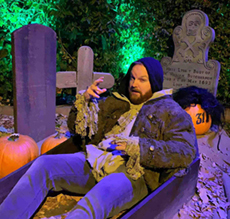 One of the best parts of the whole experience was the plethora of spooky photo ops throughout the house, but my favorite had to be when I got to dress up as Billy the Zombie, rising out of his grave. Finally, we took a trip to the back of the house and visited the Sanderson sisters’ cottage. Inside, it was like I had been whisked away to the magical world of Hocus Pocus: I was able to leaf through the Book of Power, light the Black Flame candle, and I even conjured up my own potion in a cauldron using newt saliva and dead man’s toes. I had such a fun night getting to explore the worlds of The Nightmare Before Christmas and Hocus Pocus; I went home with a ton of Insta-worthy photos, a new appreciation for the two films, and finally, one overwhelming thought: that I NEEDED to watch as many Halloween movies as humanly possible. Thankfully, Freeform’s 31 Nights of Halloween is officially underway. I know what I’ll be doing this weekend! The Digital Services team works on the two main products that our Members interact use to digitally with us—Partners Online Banking and Partners Mobile Banking. “We’ve been focusing a little bit more on the Partners mobile app because that’s where our Members appear to be heading,” Rob explained. There are some very big changes coming up for the Partners mobile app; the Digital Services team is working on a brand new app that will “address many of the comments that the Members have stated,” Rob said. “Yeah, you should be able to make an extra payment on principle. It should be really easy to turn your card, debit and credit, on and off.” These are just some of the requests that the Digital Services team has been working on, and they’re working on the foundation of the mobile app to make that (and more) a reality. Before the team can add in all of the new features, they have to build out the basics and have a strong foundation. “We want to make this app as easy to use, and as flexible as possible,” Rob said. Recently, Rob’s team rolled out a new update to Partners Mobile Banking (v6.3). The newest version allows our Members to view their Membership Number, Routing Number, and associated account information. This was a priority, Rob explained to me, because access and convenience for our Members is one of Partners’ core values. There are some very exciting updates up ahead for the Partners mobile app, but for now, I encourage all of our Members to continue providing the Digital Services team with your valuable feedback. I saw firsthand how excited Rob was to scroll through everyone’s comments and suggestions—your feedback will absolutely be heard. While Rob and his team may be doing the legwork, this app is a community effort and continues to evolve and grow thanks to you. I find myself standing in the middle of an office decorated with all things Disney. Next to me, Chris Sonnenburg, Executive Producer of Rapunzel’s Tangled Adventure, shows off an Instagram page dedicated to a stuffed toy Pascal, Rapunzel’s chameleon buddy, who takes photos with the cast and crew from the show. Pascal clearly seems to have a ton of fun, and so does Chris. We quickly bounce around the room as he enthusiastically shows me other artwork and mementos on the walls. There’s a story and purpose for everything. Chris has a rich history with Disney and started as a character animator. I ask Chris what inspired him to pursue animation. 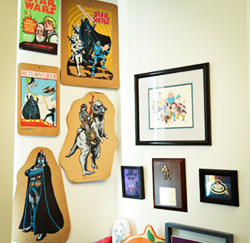 Chris smiles and takes me to another corner of the office and points to some original 1980s corkboard cutouts of Star Wars characters. “This,” he says proudly. “Star Wars really affected me at a young age. It really allowed me to see an epic story in movie form.” Chris tells me he also had a passion for drawing as a child and loved to watch Disney movies and go to Disneyland. The recruiter explained to Chris there was a school called Cal Arts where he could become an animator–he was determined to visit. After taking a tour of the school with his mother, Chris knew for certain that this was the place he wanted to attend. We will continue Chris’s Tangled adventure in Part 2! For now, make sure to follow Pascal on Instagram @followpascal! For Shannon, Account Manager, Digital at ESPN, the best part of working at Disney is the opportunity for growth. Whether it be a new learning resource, a chance to experience a new role, or a helping hand from a fellow cast member, our company makes it easy to grow, both professionally and personally. Shannon’s experience with Partners came about in a similar way—she was having a conversation with another cast member who just happened to mention Partners. “Granted, I was already a part of a different credit union, but I said I’d look into it. But then, someone broke into my vehicle and took my wallet. The customer service that I received from my previous credit union, I just couldn’t believe it. It was terrible,” she explained. “So I just went across the street to Partners and had a conversation with someone. The cast member was so helpful. He assisted me with everything to the point where I went in to just open a checking and savings account, but ended up getting a checking account, savings account, a certificate, and applying for a loan,” she laughed. August marked not only the end of summer, but for many, it was back to school time. A time of excitement, a time for personal growth, and a time for letting go (that one is for the parents). No matter if you are the parent or the student, we can probably all agree that it is also a time of stress, a lot of which comes from having to prepare back to school supplies. Whether this was your first time, or one of many, the adventure of combing through the list of supplies needed is probably not in your top ten list of favorite things to do, especially since we all know that school supplies can get quite expensive. This year though, like years before, the Central Florida Community showed their support by giving back and supporting teachers and students in several counties surrounding Walt Disney World. This year, I got to participate in several Back to School Volunteer opportunities, and I have to admit that as a parent and a friend of several teachers, I couldn’t have been prouder of the time, talent, and treasure people in this community put forward. The volunteer fun for me began with a Back to School event offered at the HOPE CommUnity center, a service learning community dedicated to the empowerment of Central Florida’s immigrant and working poor communities. HOPE invited families to join them for a backpack giveaway, eye and basic health screenings, and more. 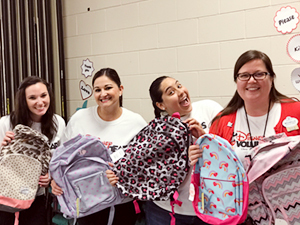 Over 25 Disney VoluntEARs helped pack and deliver over 400 backpacks full of school supplies, totaling over 9,633 items, with a value of over $17,000! As the daughter of immigrant parents, I remember being that student, getting ready to go back to school and my parents not being familiar with all that was needed to go back to school. Being able to guide these families through the process, speak their language, and hand them the backpacks full of supplies and seeing the relief on their faces, made me realize how impactful a little help can be. My Disney VoluntEAR efforts continued as I, along with several other cast members, was able to support A Gift For Teaching in their annual telethon. The telethon, which aired on local WKMG, ran for over fourteen (14) hours and raised over $33,500! Participating in a live telethon was quite the experience, and I am not going to lie, being on television was a lot of fun. The best part, however, was taking those calls and donations and listening to the stories and the reasons as to why they were calling in to donate. Partners cast members also put forward their volunteer efforts by collecting over 800 items and donating them to over six (6) schools within the Orange and Osceola counties. I am sure we can all agree that the generosity of the people in our communities is one to be cherished, and I am sure the students in our community will forever be appreciative. I look forward to being able to continue and expand these efforts next year. 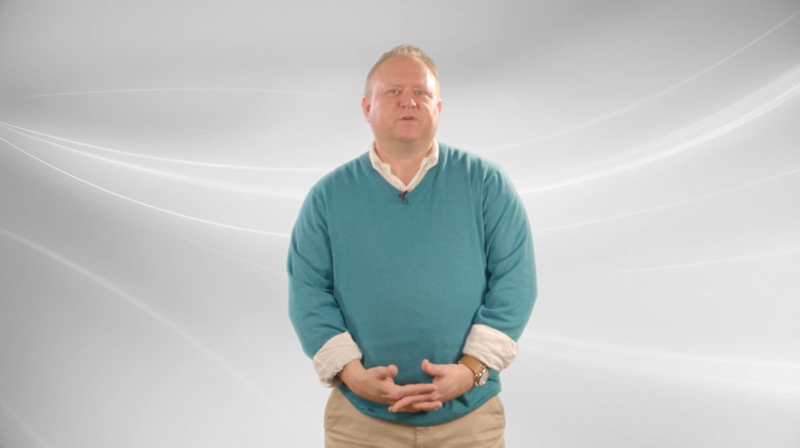 In this episode of the Partners Vlog, Stuart, our Executive Wealth Advisor, disputes two of the most commonly held beliefs for financial success. While many tout these ideas as fact, Stuart argues that successful navigation of the economic landscape requires much more nuance. Last week, Partners was honored to attend the Third Shift Celebration at Disney’s California Adventure. If you’ve ever wondered how our resorts stay in tip-top shape year round, or how our parks are magically transformed overnight for various holidays, look no further than the dedicated cast members of the “third shift.” While the rest of us are asleep, these cast members are hard at work, helping perfect the Disney magic that we all get to wake up to in the morning. The Third Shift Celebration is an annual event to say thank you to these cast members for all of their hard work and the magic they create for our guests by working through the wee hours of the night. Approximately 1500 cast members were in attendance to enjoy the festivities and were treated to food, drinks, complimentary PhotoPass, and an exclusive third shift cast member gift. Thank you again to our wonderful third shift cast members! It’s Looking Like a House! 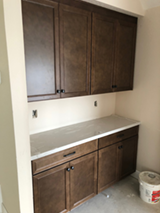 About two weeks ago, we drove to the construction site after work to check on any further progress, and were excited to see that all the cabinetry had been delivered and was sitting comfortably in its protective boxes in the garage. With a boom box playing loud music, a team of trim workers cut all the baseboards and nailed them to their specific locations around the interior of the house. We were so impressed at how quickly everything was happening now. After the drywall went up, the exterior cladding was finished, all the doors were installed, and the floor and wall tile in the bathrooms was also completed. The biggest surprise of all was that the exterior had been painted. This had been stressing me out a little since it is difficult to visualize a whole house painted in a specific color based off a small color chip. All the stress flowed away as soon as I saw that our selections worked well and made the house look complete–even though there is still so much work to be done! After a few minutes in the house, we heard the rumbling thunder of a quickly approaching summer storm. It started to get very dark quickly as the wind picked up and, in a rush, we closed the windows at the back of the house and continued checking the progress in the rest of the house until we realized that the storm was right over us. As it poured, the workers kept their pace as if it was a sunny day. We proceeded to the front porch to give the workers their space and to appreciate the storm from a new perspective, then got shocked by a parade of lightning strikes close to the house. It felt like we were living that scene from War of the Worlds when Tom Cruise’s neighborhood gets eradicated by the alien attack. We could feel the electricity in the air as the storm passed over us. The thunderstorm lasted about 30 minutes. Last week, on our next weekend trip to the house, we found that the driveway and sidewalk had already been framed for concrete and tile. The interior walls had been painted and cabinets installed. The countertops had just been finished and they looked amazing! The doors were painted and their door knobs installed. The A/C system had also been installed. We even have garage doors. There is still a lot more to be done including the flooring, appliances and detail work, but it is now really starting to look like a house. The day after the cabinets were completed, we received closing date details from the builder. Our lender, Partners, sent us follow up communication to fill out the mortgage application and provided us with a list of documents they require. We also researched home insurance companies and provided our selection to Partners. My family and I are now getting really excited about the reality ahead of the closing and have been working on a list for everything we will need to do before and after closing. I can’t believe we will be in our home soon. In my final reports, I will share details of the final inspection and closing experience, in addition to lessons learned. Congratulations Mike on 25 Years with Disney! It was easy to gather from our conversation that Mike’s favorite part of his job working our Members. 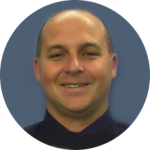 For the past 15 years, he has been working at our branches throughout the Orange County market, most recently as a Member Service Representative in our Harbor Pointe Branch; he has certainly made many financial dreams come true in his time. “I love being able to help and getting to see the benefits that I’m able to bring to them. That’s what makes it so enjoyable for me,” he said. 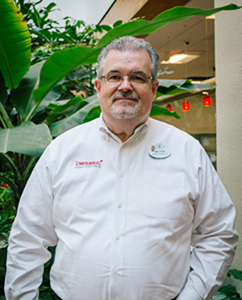 It’s no wonder that Mike loves working with Members at our branch located backstage at Disneyland: he started his Disney career working in the parks himself: “I started out working on Main Street, U.S.A., for the restaurants. It’s funny,” he said, “because the place where I met my original trainer is about 30 yards away from where I’m sitting right now. I could open up that window right now and I could see right where the trainer met me on day one.” Because he worked in the park for so many years, Mike is easily able to relate to his Members. “It really is like an instant connection,” he explained. Mike worked at Disneyland exclusively for seven years, beginning in high school, and then began looking to transition, hoping to challenge himself career-wise. He ended up working at a bank during the day, while also keeping a few shifts at Disneyland. Eventually, he applied to his job at Partners via The Hub, and has been working here since 2000. “I applied and was able to combine the two jobs I was working under one. So it worked out great,” Mike said. After chatting with Mike, it was clear to me that he loves his job and excels at it. 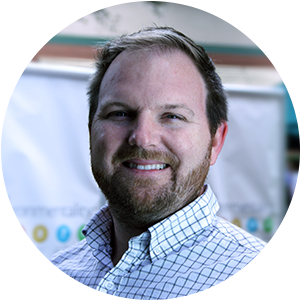 At Partners, he’s found a role that is both challenging and rewarding. There’s nothing he loves more than interacting with our Members, and to top it off, he’s got that view right outside that reminds him of where he began his Disney journey. Thank you, Mike, for your amazing work at Disney, and congratulations on 25 magical years—here’s to many more! Ducks quacking, dragon flies buzzing, and the gentle sounds of running water. Those are the sounds of the Rivers of America waking up at 5:15 AM. 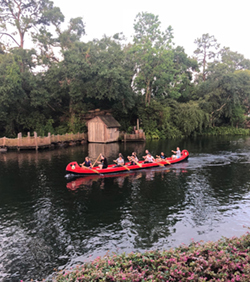 As the sun slowly makes its way up over the top of Tom Sawyer Island, teams of cast members gather together to compete in this year’s Canoe Races. After a two year hiatus due to construction at the Disneyland Resort, the Canoe Races are back! From June to August, teams practiced and went through qualifying trials to be able to compete in the finals that took place this week. Partners had an amazing opportunity to support this event and got a firsthand glimpse at all the fun and the early morning prep work that goes into it. When you are used to “banker’s hours,” a 4:00 AM wake up call is not part of your usual routine. But volunteering to help with this year’s Canoe Races was something I could not pass up, even if it meant getting a little less sleep. 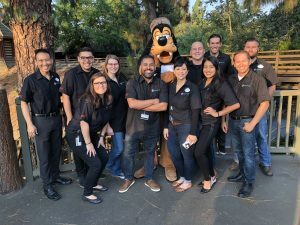 Over the course of two weeks, a team of about twenty Partners cast members started their days at dawn on the Rivers of America to volunteer in any way needed to support this super fun event. My personal favorite job was to post up on Tom Sawyer Island watching teams race carefully around the island, particularly watching out for any teams that hit a buoy or rock with their canoe, which meant instant disqualification. Other Partners cast members had jobs taking photos for teams, helping with merchandise tables, and cheering on the competing teams. This week’s finals brought a new experience: getting to see the joy and excitement as the canoe racers’ family and friends were allowed into the park before opening to watch their favorite teams compete for the top prize. Rowing one of those canoes is hard enough–but making sure to make your friends and family proud? Well that’s a noble challenge. After everything was said and done, winners were crowned, and cast members began to get ready for their day ahead where they would help make magic for guests. For me, I get to go through the rest of my day knowing that I have already experienced some magic thanks to the adventures of the morning, the amazing cast members that made up the canoe teams, and the Cast Activities crew that made it all possible. I can’t wait for next year! Maybe I’ll be in one of those canoes myself! Looking to buy or sell your home? You’re in luck! 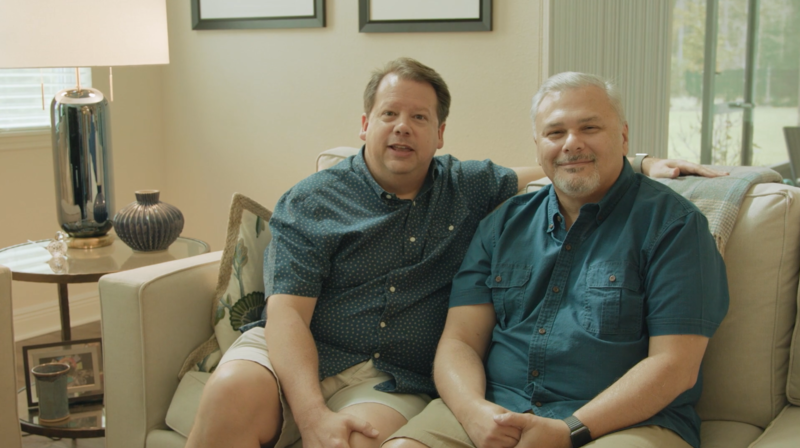 In this episode of the Partners Vlog, Brad, our VP of Home Mortgage, shares his tips for navigating today’s real estate market. Twice a year the Disneyland Resort motivates cast members from every department to create Military Care Packages for our troops deployed around the globe. 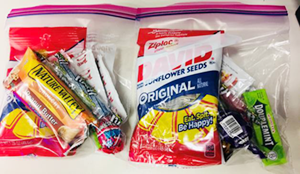 Many teams participate with the goal of creating Care Packages that will inspire comforting thoughts of home, and provide treats or luxuries not readily available out in the field. This May marked the third time that a team from Partners got together to show our appreciation for our troops, and support our sponsor all at the same time. The Katella Branch team started the effort last year under the leadership Daniel R. We continued the effort with a wider scale of participation this year, hoping to break our personal record. 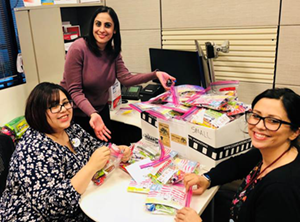 Under the leadership of Sophia C. from our TDA Branch, the entire Partners Anaheim team pulled together this time to create over 300 care packages! Anaheim branches pulled together to donate monetary resources to purchase all the items needed for the packages. Some of our cast members have either current, or former members of the Armed Services in their families, all of whom provided important feedback about what our troops might enjoy while deployed overseas. Our Care Packages contained sunflower seeds, chewing gum, blow pops, granola bars, sour patch kids, and the most important item for any Southern California native…Tapatio hot sauce! Our Katella branch team played an important role in the preparation of the care packages. Tellers stamped and signed 300 postcards, which each package has, as a small reminder that those of us here at Partners are thinking of them. Over the course of two days, member service representatives, tellers, and leaders, all pitched in to stuff bags, box, and deliver our packages to TDA for collection. It was truly a team effort for the Anaheim region that yielded amazing results. We look forward to the next Care Package Drive in November, and hopefully we can break another Partners record with more participation and even more Care Packages! It’s a small thing to do to show our appreciation for the brave men and women that protect us, as we continue to do our part in making dreams come true here at the Disneyland Resort area. We thank everyone who contributed and helped, and we look forward to working closely with our sponsor to continue the tradition of thanking our troops in every way that we can. Congrats Diego and all of the other Cast Member, Friends and Family 5K participants! Announcing the 2018 Partners Scholarship Winners! Partners is proud to announce our 2018 Partners Annual Scholarship Recipients! Congratulations to Shannon S. and Brian H., who will each receive a $10,000 award to put towards their education. Brian is also an accomplished student—he is an AP Scholar with honors and is a member of the California Scholarship Federation, a group that seeks to recognize students who possess high standards in academics. He is very involved in his community, volunteering his time at Habitat for Humanity, the Los Angeles Regional Food Bank, and the Special Olympics. He is the cofounder of the Research and Development Club at his high school, and is also a member of the Investment Club, and the Robotics Club. This fall, Brian will be attending the University of Miami, where he hopes to conduct research on battery technologies in order to start up a company after college with his two good friends. Congratulations again to Shannon and Brian! We wish all of our applicants the best of luck in their future educational endeavors. Buena Vista Plaza Gets a Facelift! 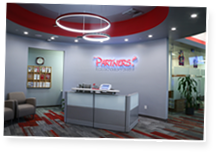 Partners is excited to announce the refurbishment of its Buena Vista Plaza branch in Burbank! The branch has received a well-deserved makeover, including new carpeting, a fresh coat of paint, new lighting fixtures, and new furniture. The updates have given the branch a fresh, modern look while also making it feel more Partners. We’ve said our goodbyes to the beloved orange and green color scheme, and are happy to welcome the sleek Partners red and grey to BVP! To top it all off, BVP received a brand-new Partners sign for its lobby. Make sure to visit us at BVP to see the beautiful renovation in person–we hope to see you real soon! This question sparked a thoughtful discussion where Stuart and Colin covered a range of topics, from retirement portfolios to cryptocurrencies. 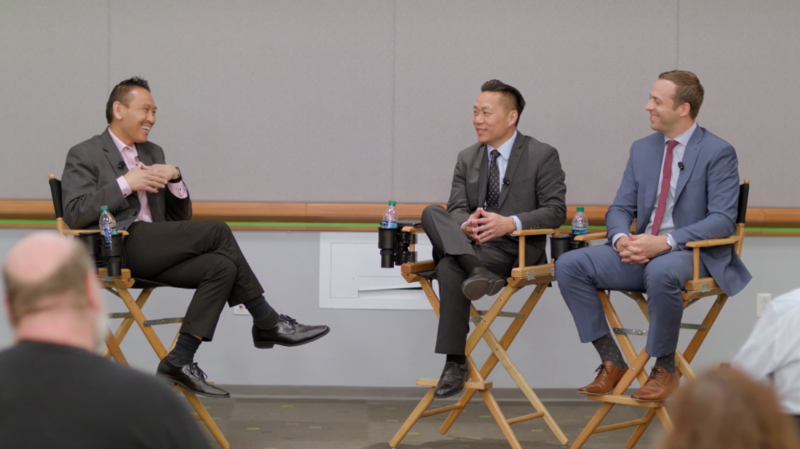 The conversation helped clear up common misconceptions, provided thoughtful advice on how to navigate the market, and encouraged cast members to think about their individual financial strategy in light of their long-term goals. Securities and advisory services offered through LPL Financial, a Registered Investment Advisor, Member FINRA/SIPC. Insurance products offered through LPL Financial or its licensed affiliates. Partners Federal Credit Union and Partners Retirement and Wealth Management are not registered broker/dealers and are not affiliated with LPL Financial. June 12th is a day that will forever be a day of remembrance for the 49 victims lost in the Pulse Nightclub tragedy. On this day, two years ago, the Central Florida community came together as one and continues to come together still. Today, the Walt Disney World community of cast members had an opportunity to do just that: come together to spread hope, unity, and peace during a remembrance event held for the victims and survivors at Mickey’s Retreat. The event, hosted by the Walt Disney World Diversity Resource Groups, offered those in attendance words of love and kindness by Maribeth Bisienere, Senior Vice President of Walt Disney World Parks, including a moment of silence as the names of the victims were read aloud by the PRIDE and HOLA Diversity Resource Group leaders, Juliana Trujillo and Carlos Jimenez, followed by a moving musical number by the Orlando Gay Choir. In an effort to continue to spread kindness today and every day, all attendees were also provided with kindness cards and encouraged to give one to a colleague, friend, or family member. Congratulations Milton on 25 Magical Years! 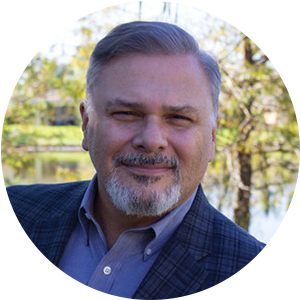 Earlier this year, Milton P., the Branch Service Manager of Partners’ Lake Buena Vista branch, celebrated 25 years with The Walt Disney Company. In commemoration of this milestone, I had the pleasure of sitting down and talking with Milton about his career with Disney. As I mentioned in my last entry, I only recently started working at Partners a couple months ago, and so this was my first opportunity to meet Milton. I was obviously a bit nervous when we began our brief chat—just from spending an hour or two at the LBV branch, it was pretty clear to me that Milton is everyone’s go-to guy. 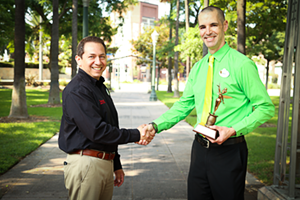 He is a familiar and friendly face, not only around his branch, but throughout the Disney community. There was so much I wanted to ask him—not to mention the fact that 25 years is a lot of experience to cover in such a short conversation! But I couldn’t help my curiosity, so I asked Milton to simply start at the beginning. 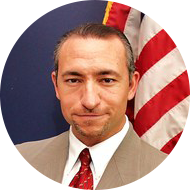 When Milton first started his career, Partners was known as Vista Federal Credit Union. As Milton stated, “I didn’t know about Vista. I didn’t know what the credit union thing was about. My background was in commercial banking. 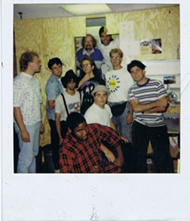 The big difference back then, this was in 1992, compared to what it is with Partners now, is basically how small we were starting out in the back offices at Team Disney.” Partners was so small, he explained, that our cast members were spread out and intermingled with other Disney groups, without our own dedicated space. For those working for Partners today, it’s hard to imagine what this would have been like. The Partners I know has such a large presence around Disney property; today, we even have our own branch at the Partners Building! Being somewhat of a Disney nerd, I can’t help but think of Walt’s famous quote, “Disneyland will never be completed. 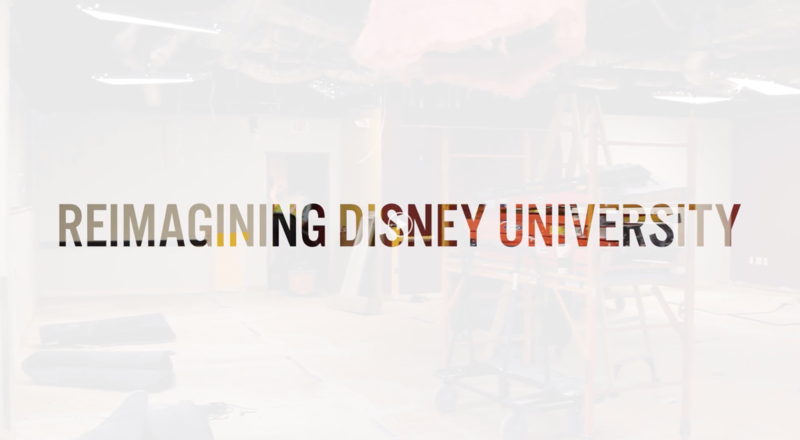 It will continue to grow as long as there is imagination left in the world.” That tradition of creativity and innovation is embedded throughout Disney. I see it every day at Partners; for example, we were one of the first credit unions to support Apple Pay and we’re moving to an AGILE environment. I come to work knowing that there’s always something new and exciting in development! Although Milton would be too humble to ever admit this himself, he provides outstanding service to our Members—he is always kind, thoughtful, and willing to go above and beyond. He always finds a way to help our Members around the clock, even those who arrive to our branch after it has closed. “Just little things, little things like that,” Milton says, “that’s what makes us different from a bank, being able to do that for our Members.” Although I myself have only been with Partners for a short time, I’ve quickly realized that it’s more than just being different from a bank: because we’re Disney and our Members are Disney, we’re willing to go that extra mile for them. That’s how we’re able to create our own Magical Moments. Thank you again, Milton, for your kindness and generosity, and congratulations on 25 wonderful years! As I look forward to my own future with the Company, I can’t wait to see what my next 25 years have in store. This year, the Puerto Rican community celebrated its second Annual Puerto Rican Parade and Festival in Downtown Orlando, FL. The parade was incredible–two hours of energetic music, colorful floats, beautiful bomba y plena dancers, and a sea of proud Puerto Rican flags. Mickey and Minnie also made an appearance in their horse drawn carriage and were followed closely behind by the Disney VoluntEARS, consisting of members of the Walt Disney World Diversity Resource Groups. As the president of HOLA (Hispanic Organization for Leadership Advancement and Allies), I was thrilled when we were invited to participate in the festivities and knew that getting a chance to celebrate the Puerto Rican community would align perfectly with our goals. HOLA promotes Hispanic/Latino heritage and cultural exchange between all Cast Members and encourages professional and personal development opportunities for its members. The celebration continued after the parade with a festival consisting of Puerto Rican food, music and cultural presentations. 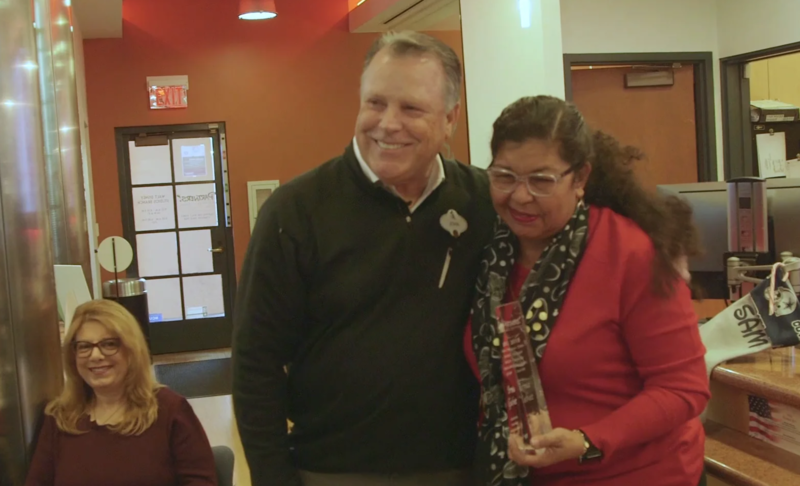 With the growing Puerto Rican population in Central Florida, Disney has continued to provide support to the Puerto Rican community, and this is just another example. Personally, it was great to experience this event and it was such an honor representing HOLA, but what made it better was being able to share the experience with my twelve-year-old daughter. She really loved being able to lead the parade as we held the Disney VoluntEARs banner, but more importantly, she also enjoyed seeing and being a part of a Hispanic culture different than her own. That’s what Disney does: it brings people and families of all cultural backgrounds together to celebrate as one. Partners is Disney’s 2018 C.R.O.W. Champion! Canoe Races of the World (C.R.O.W. )—the much-anticipated annual two-week cast-exclusive Disney tradition dating back to Disneyland in 1963 and Walt Disney World in 1973—was held at Magic Kingdom Park on the Rivers of America May 2-18, 2018. The annual competition fosters a sense of community among cast members, strengthens relationships, builds camaraderie, is a great team builder and of course, is a way to make fun memories. Getting up extra early to arrive at Magic Kingdom, coordinating teams to row around the island, and clearing the area before guests arrive is no small challenge, and we appreciate all the cast members who bring this event to life. It’s an awesome experience seeing the park as the sun rises, in its peacefulness before it opens to guests and in welcoming the new day on the river. Partners has loved being part of this competition over the years and is proud to announce that one of its C.R.O.W. 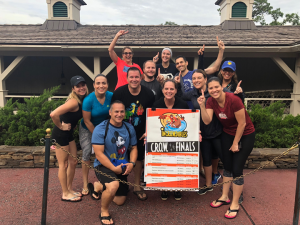 teams, “Partn’OARS”, earned the coveted title and bragging rights for the coming year after being named Coed Rec Champion, crossing the finish line Thursday morning with a time of 5:49. Partn’OARS is excited and honored to represent Partners in this achievement!!! The team rehearsed on dry land with imaginary paddles, chanting “row, row, row,” mentally visualizing ten oars rowing at the same pace, paddles in and out of the water at the same time, running tight lines, all in sync, gliding through the water. Phrases like “5 seconds is a lot of seconds” and “This isn’t an after-dinner row” became the team’s most used funny mottos. Each team is given two practice runs to make any adjustments before competing in the qualifier. The top four teams from each division then move on to the finals. Partn’OARS rowers volunteered from across the credit union, representing Human Resources & Training, Operations, Payments, Lending, Member Services, Digital Services, Business Development, Risk Management, and Information Technology. “Our team is comprised of cast members from different departments, but when we row there are no roles or titles. We’re all working towards the same goal, getting to the finish line with the fastest time possible. We build a team, practice and like in any business model set goals, look for opportunities to better our strategy, make and adapt to changes, execute them, and go for the win,” describes Sugeil Velez, a Partners’ Market Area Sales Specialist in Business Development and a member of the Partn’OARS team. This month, Partners has become one of only seven credit unions to reach the “Million Dollar Club”, with over $1 million in rebates given back to our Members! For the last five years, Partners has worked with CU Realty Services, powered by Home Advantage, to provide our Members with the most valuable and highest quality real estate tools and services–from access to real time property search engines, to being able to work with highly qualified and seasoned real estate professionals that shepherd our Members through the entire home buying process, to helping our Members receive a 20% realtor commission simply for utilizing the service. On average, Members receive a refund of $1,800, funds which can be utilized to help pay for closing costs or provided directly to the Member to help with the many additional costs associated with purchasing a home. We understand that buying a home can be one of the most stressful transactions that our Members may go through in their lifetime. As Bradley Tichenor, Vice President of Home Mortgage and Real Estate, explained, being able to offer our Members a service that not only makes buying a home a more positive experience overall, but also gives back, is a win-win for all parties involved. Our builder representative had told us that we were going to have prime view of Magic Kingdom fireworks from the house, and so on July 3rd, we took a trip over to our future home site to experience the Independence Day Firework Spectacular. Our family was surprised to see how clearly we could see and hear the beautiful show from the front porch. We could even hear the train’s whistle distinctly. The perimeter firework show didn’t disappoint. It is really going to be a magical place to live when we are finally in our home. As mentioned in my previous update, we hired a private inspection company to come to the work site to review the work done thus far. We did this for our own peace of mind since we are obviously not experts in building homes. When we arrived at the house, the inspector was already there busy at work checking the framing in the garage area and taking lots of photos for his report. The construction site had been cleaned and prepared for the pre-drywall meeting. By now, the drywall had also been delivered and awaiting installation. All the electric lines had also been installed. The inspector took his time to point out a few things he noticed along the way. The inspection took two hours to complete and, in the end, the inspector shared that the house was well built and that there were just some minor comments he would note in his report. For us, it was a huge sigh of relief knowing we were going to have a well-built residence in the end. 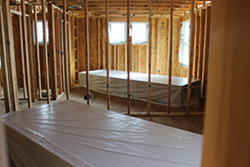 The inspection company had the report completed by the next morning before the pre-drywall meeting so that we would be able to share with the builder. The meeting took place at the house the next day. Once the Project Manager (PM) and our real estate agent arrived, the meeting began with a description of every detail of the house, starting with the exterior. Thankfully it was a cloudy day because it was really warm and humid that day. 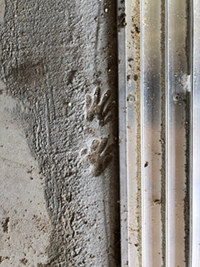 As we walked in the house, I happened to look down by the sliding glass doors and to my surprise there were a couple of raccoon hand prints made while the concrete was setting. I found it hilarious and had to take a photo of it to print and frame. Once in the house, we went through every room, focusing on every outlet (what they did and didn’t do), plumbing pipes, etc. We pointed out that two additional outlets we had added to the drawings were missing, and he noted the locations with a thick marker for the electrician to have them installed right away. We then proceeded to the second floor and checked items in the laundry room including the gas line for the dryer. We learned that because we did not purchase the washer and dryer directly from the builder, we would need to have the gas company come to install a special valve so that when the dryer is installed, it can be easily connected. The builder’s only responsibility would be to bring the gas line to the location in the laundry room. Thankfully our PM explained this to us so that we are not surprised with additional expenses later on. The PM made notes of any item brought to his attention so that those would be resolved prior to drywall install and the meeting finished with us signing off on all the findings. Last Saturday, we drove by to check on the progress and were delighted to see that the insulation had been installed and had already passed inspection. They are now ready to put up the drywall. Now all the detailed work begins. More pictures and stories coming soon. I was just looking back at some construction photos from early May when the builder broke ground on our lot and compared them with today’s photos. What an amazing feat to get to this point. We were told that once the foundation went up, there would be a lot of development. They were not kidding! Once the outer walls of the first floor passed inspection, the floor to the second level went in, followed by all the interior walls. Then we drove by the lot one weekend and the house already had roof and interior wall framing on the second floor. The project manager has been sending weekly reports of each step of the process, which has been incredibly educational. Every Monday we get the report with the expectations for the week ahead and so far, we appear to be on target. In the last two weeks, plumbing lines and air conditioning duct work began. We took lots of photos of where all the pipes go within the wall framing structure. This would be helpful if we ever have any plumbing issues. We did notice a minor plumbing discrepancy in one of our visits. The master bathroom shower was supposed to have two shower heads facing each other. The specific locations for them were discussed in our pre-con meeting and drawn on the blueprints. One of the shower heads was installed facing the shower door instead, which was exactly the reason why we chose to move it. We took photos of the install and emailed the project manager with an explanation. He responded a few days later confirming that the plumber would correct the error right away as per our prior understanding. The roof dry-in (roof waterproofing cover) and a water vapor wrap for the second floor have now been finished. The bathroom tubs and shower lining, hot water lines and air conditioning duct work have also been completed. We even have windows and exterior doors already! According to the project manager, roof shingles and electric lines go in this week. We are approaching the pre-dry wall meeting time frame, and for that reason, we have decided to hire a private inspector to examine the construction and provide us with a full report. In fact, our real estate agent recommended it. He shared stories of shady construction work that later caused the home owner much more in dollars, time, and frustration. Not to say this would be the case here, our builder has been quite professional, but this is our home, and we have the power to avoid at all cause any future challenges. There is a process we need to follow and have started the conversation with our builder to ensure we align to it. 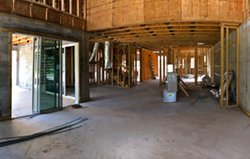 A specific date will be scheduled for the inspection, separate from the pre-dry wall meeting we’ll have later with the builder. Because building permits and inspections are public record, we visit the Orange County (OC) records online every other day to check on the progress. OC has been on top of all the required inspections and while some of the work has not passed their scrutiny, the builder has been swift to correct the findings. Based on this, there should not be anything surprising in our private inspector’s report. At least, that is what we are hoping for. In the next few weeks, I hope to share with you how the inspection and pre-dry wall meeting went. It’s been about a month since construction finally began. 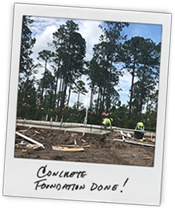 The constant rain we’ve had in Florida in the last few weeks has delayed the crew in pouring the foundation slab but one day about two weeks ago, that process was completed. What a relief this was for us to finally see some action. Then last week, the blocks were delivered the day after the foundation set. The blocks went up as if by magic. A builder representative handling the mortgage closing checked in last week to make sure that we were on track with the mortgage process. Our mortgage advisor, Jackie, quickly responded certifying that everything was in order. This past Memorial Day weekend, we drove over to see if there was any progress. It had been very gray and windy because of tropical storm Alberto so we did not expect much change. When we got there, we found that all the wood for framing and for the roof line had been delivered to the site. There was a lot of it, everywhere. For the first time, we walked on the concrete slab checking out every detail, looking at all the pipes coming out of the floor and where everything would go. It is very odd, the house felt so much smaller than the model home because there were no interior walls or ceiling. It is hard to get a clear vision of the space without having the interior walls up, something that may happen in the next week, fingers crossed the weather cooperates. We took a bunch of photos for our album and imagined this place slowly becoming a home in front of our eyes. We then walked into the house next door that is about a month ahead in its construction and noticed how much detail work happens behind the walls. Later that evening, I pondered about the complexity of building a home. Things we take for granted and that makes our lives so much easier take so much work, time and effort to produce. It amazes me how concrete, blocks, wood and other materials can be used together to build something that would protect us from rain, hurricanes, and provide us with security and comfort. The more days go by, I tend to appreciate this house even more, these materials that one day will become our home. On the next chapter, I hope to share with you more pictures of the second-floor build and roof, along with the wiring and piping that go behind the walls and how it all takes shape. The pre-construction meeting was just a few days ago, and it exceeded our expectations! We got to the neighborhood about 30 minutes early and took a drive over to see the lot. As we drove near it, we could see that the inspection board sign was already up in front of the lot. At the lot, in front of our eyes, was saw that the dirt had already been leveled, and the shape of the foundation had already been marked with dirt and stakes on all the corners. There was so much emotion at this moment because we couldn’t believe that the home that we had been dreaming about was finally starting to take shape. We snapped some photos, careful not to walk over the lot area that had already been marked, and started posting on Facebook to share the progress with family and friends. We then drove over to the sales office down the street to meet with the project manager. He was a tall man with a heavy Scottish accent. 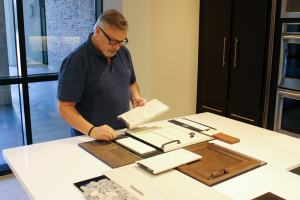 With the plans in his hand, we walked over to the kitchen in the model home we were in and spread out the large blueprints on the countertop. 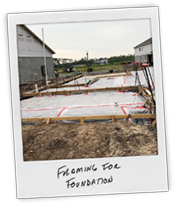 He took his time explaining how the whole project would take shape, starting with the framing for the foundation, the pour of concrete and then raising the house from there. 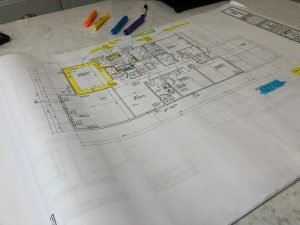 In the blueprints, we verified any structural upgrades which included an upgraded master bathroom with a free-standing tub, large sliding glass doors to the back patio, niches in two of the showers, and a valet area by the garage entrance to the house. After that, we reviewed the electrical blueprints confirming where the light fixtures would be installed, and any upgrades. The project manager was very helpful in answering all our questions. We asked if he could give us an idea of the timing for finishing and closing. He explained that once the cabinetry went in, it should be about 60 days from that time to close. This gave us a more realistic timeline, and based on that according to his schedule, we should be moving in the middle of September, if not a couple of weeks before or after. What’s next? There are two more meetings with the project manager: one before dry wall goes in and one at the end to review the home before closing. In the next week, we should have a foundation. We’ll continue to post photos of the process and any additional details. Stay tuned. Last week, in preparation for our design selection appointment, we were invited to a Design Center open house. There, we met our assigned interior designer and received a folder with a list of prices for everything that is upgradable above any standard option. 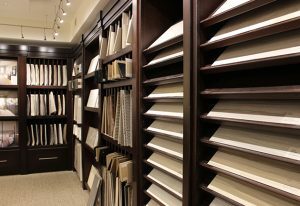 The design center is heaven for any designer with rooms decorated beautifully in different styles to give their visitors an idea of the finished product. 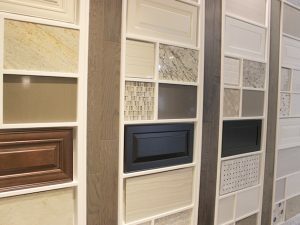 The space also held library-style display walls with an impressive variety of flooring, knobs, faucets, and anything else you can think of for a home. Everything was labeled with levels of quality and price which made it very easy for us to gauge how much upgrades would potentially run. Based on how much we qualified for our mortgage, we were able to estimate how much to spend for upgrades above the price of the home. Yesterday, we returned to the design center for the highly anticipated scheduled three-hour appointment. The day had finally arrived, and we were obviously ecstatic. Our interior designer set expectations for the day as we gathered at a large working table. Our designer entered everything in her computer starting with the floors going down the list from room to room. We had decided on a fine wood floor for the whole first floor and inquired how much it would cost to add it to the second-floor hallways and master bedroom. We felt the wood floor pricing was higher from what we had seen at some of the big box stores, but acknowledged the pricing included installation and that this higher-quality wood would not be readily available. The focus was then moved to the kitchen, selecting the colors and styles for the countertops, cabinets, door handles, drawer knobs, faucet, sink, appliances, and even under cabinet lighting. At times it was difficult to decide from so many options and styles available. For example, there were a few quartz countertop options we really liked, since none of the standard options appealed to us. Thinking of resale value, we agreed with a lighter color cabinet and a stunning natural quartz that complemented the wood floors and the cabinetry perfectly. Upgrades were also made from the standard appliances to stainless steel. Three hours flew by the time we had selected everything for the bathrooms, public areas and even the low voltage system for the whole house. What was really interesting is that we were able to create a central system in which all communication (wi-fi, internet, cable, etc.) were housed, allowing us not having to see any wires, modems, or routers sitting around the house. Looking back at the day, it was incredibly rewarding with very little disagreements. Was it exhausting? Yes, definitely! The amount of decisions that needed to be made were overwhelming at times. Coming in with an open mind to the possibilities was a good way to think about this day. It made a world of difference. Our interior designer was incredibly helpful answering all our questions and showing us options when we couldn’t make up our minds. Above it all, it was exciting to select the choices for our house interiors and can slowly see it becoming a home in our minds. By the end of the appointment, our designer gave us a 43-page document with all the upgrades with their cost, listing every item one by one. We went home and reviewed the document carefully to ensure everything aligned with what we had selected and the amount we had set aside for upgrades. We also took lots of pictures of each item by room, which was extremely helpful since there were so many items to review. Luckily, we were close to our target figure, but were unsure on a few items, therefore the time between the first and second appointment allowed us the time to think of this more thoughtfully. Everyone has a vision of what a home should look like, with the best of the best. When one is presented with the reality, how much things cost, it is a little perplexing. It adds up quickly too. Thankfully we were given a credit toward the upgrades which was used up pretty quickly. At a second design appointment this week, we finalized the selection process by deciding what we wanted to change, remove, or add to the list. With this builder, we are required to provide a 30% deposit from the total cost of all upgrades after we have signed the upgrade contract. What’s next? We should be breaking ground in about a week and closing around September 24 (trusting there are no hurricanes). We’ll be sharing more of the event when the moment arrives! This is really going to happen! Just thinking about the day when we move into our new home makes us so emotional. A few days ago, along with our agent and check book in hand, we went to our appointment with the builder to select our desired lot and home plan. Before our appointment, we walked over to the lot we liked and took our time evaluating it. We looked at where the sun would point during different times of the day. And upon a closer look, we realized that this lot had a pie shape opening, wider toward the back of the house with a beautiful natural conservation area. All of us immediately imagined ourselves sitting in the backyard appreciating the beauty of nature. Just the fact that we would get a premium lot, and that we would never have anything built behind our house, was enough for us to decide that this was the one! We then drove over to the sales center down the street for our appointment. We found out that the permits to build new construction in Orlando were taking about four months. We were lucky that the model we wanted had already been permitted and were able to start construction within 30 days. This would put us to into a September/October closing, precisely at the end of our lease where we are renting. This is extraordinary! At the appointment, we asked some standard questions. Our seasoned real estate agent was also able to ask a lot of questions as well, some we had never really even considered. Having lived through several hurricanes, we made sure to ask if the home was in a flood zone, which we knew would affect our insurance rates. Thankfully, it wasn’t. Our agent asked some good questions about discounts and credits. We found out the builder would give us a $7,500 credit toward upgrades, and $3,500 for closing costs if we applied for a loan with their preferred lender—even if we decided to go with a different lender! Of course, we took advantage of that. At this meeting, we also found out there was a Homeowners Association, and that gave us some peace of mind that there will be rules for upkeep of homes and public areas. The builder’s sales rep was very transparent, able to provide all the answers to help us make the right decision. Our agent took a copy of the contract and read each paragraph as we reviewed it with the sales rep, often describing or explaining something within it that we should be aware. We quickly realized that builder contracts favor the builder greatly but felt relieved knowing that our agent was there to bring up anything questionable. We signed the contract, initialed every single page while going through all the details, and wrote a check for the initial deposit that would hold our lot and home. This builder required a 5% minimum down payment. We are to provide a balance in a few days. You cannot imagine how happy and reassured we were to have signed a contract on what will be our next dream home. 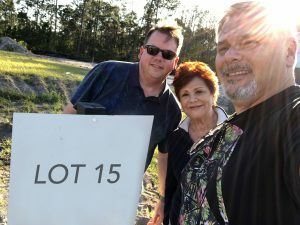 To celebrate the special occasion, we drove back to the lot and took a picture showing our new patch of land, and where someday soon our home will be. We are visiting the design center on April 12, stay tuned for the details. Winter Garden Here We Come! Buying a home can be both intimidating and overwhelming. It was for us when we purchased our first home back in 1999. We never thought that we could afford it. It was not until we researched the options that we were able to make smarter informed decisions about a better future for our family. We are now in the process of buying our fourth dream home and in the next four to five months, we’ll share our home buying experience with you. Hi, I am Enrique. In full disclosure, I work at Partners Federal Credit Union as the Design and Brand Manager. My husband and I both have made our careers here at Disney since 1994. Last May, we decided to sell our home near Magic Kingdom where we had been happily living for 10 years in order to bring my mother to live with us. She had just turned 75 still working as an English professor and was ready to retire. We researched various options and found some homes in the area with separate apartments above garages that would work for her. We also looked at homes with divided layouts and even duplexes. The reality was that prices for the most acceptable options we had seen were outside of our budget. 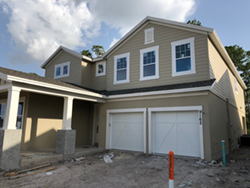 We took a weekend a few weeks ago to visit new area communities being built in Winter Garden close to Disney and walked many model homes with our real estate agent. Once we identified the builder and model we liked, we visited them again to view them with more discerning eyes. We looked at the type of neighborhood, distance to work, proximity to shopping and entertainment venues, traffic patterns, noise, quality of materials and finishes in the construction and interiors, lot sizes, space between homes, keeping of public areas (pools, recreation, gardens, etc. ), and even how many cars were actually parked on the street. We made an appointment to meet with our agent and a builder sales person who was able to give us more information on available lots, prices and construction time frames. We went home and discussed the possible options available based on our timeline and decided on a very nice two-story home with a large common area on the first floor and equally large yard that backed into a conservation zone. The second floor was nicely divided into two wings that felt separate enough for my mother to have her independence while affording my husband and I equal space for our privacy. We would be so close to the Magic Kingdom, that we would be able to see and hear the fireworks every night. How exciting! Our next step was to get a loan pre-approval, but where could we go for that? Hmm, it was a given, we contacted our mortgage advisor at Partners. We were able to get a pre-qualification letter to bring to the builder. This letter could not only solidify a contract with the builder, but also confirm an idea of what we could realistically afford. 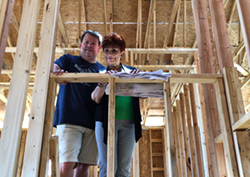 We are excited to share this home buying journey with you and invite you to come back in the next four to five months as we go through the whole process of buying and building our next new dream home! In the next entry, I’ll tell you what happened when we went to sign the contract. 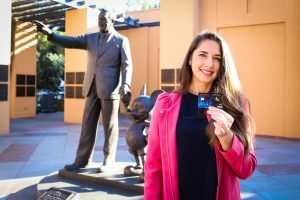 Partners is excited to offer our Members for a limited time, the new and exclusive Disneyland Visa® Debit Card. We partnered with Walt Disney Records and their launch of The Legacy Collection to celebrate the music of Disney’s classic animated films. Additionally, our team also got chance to sit down and discuss the amazing album cover art created by Disney artist and Partners Member Lorelay Bové. A magical experience came to be when Lorelay Bové received the opportunity to re-imagine the visual presentations of such classic Disney movies as The Lion King, Sleeping Beauty, and Fantasia. To commemorate these films and the 60th anniversary of Disneyland, Walt Disney Records assembled a compilation album series, featuring re-mastered and remixed soundtracks. Lorelay was commissioned to re-create the cover of each album with a design using the rich colors, textures, and themes of its original edition. Her skills, rooted deeply in the artistic world of animation, had brought her to this moment of a lifetime, an exciting project she could not refuse. Lorelay continued her artistic journey, eventually completing her professional degree at the California Institute of the Arts, also known as CalArts. 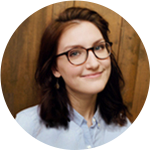 After graduation, she interned at Pixar, where she created stories using such characters as Hansel and Gretel. When her internship ended, Lorelay had the chance to become a trainee in the program in the art department at Disney Animation Studios. She would go on to become a permanent Cast Member, where she’s worked for the last 10 years. Visit your local Partners branch to find out how you can get your own Disneyland Visa® Debit Card. As one of my first official tasks as a new member of the Partners Marketing team, I was asked to attend a financial workshop facilitated by my fellow Cast Member Juliana. Primarily, I was there to photograph the event so that we would have images we could use in future articles or on our website. Of course, as Juliana went on to explain, she was excited to have me there because I would be able to get a feel for the types of workshops and education programs Partners offers. Not to mention that it was a millennial-focused workshop, which meant that my 23-year-old self was exactly the target audience. I was pretty curious to see what a “millennial workshop” looked like, and secretly hoped that Juliana wasn’t about to give a presentation full of hashtags, selfies, and memes. You know—millennial things! I arrived that morning, camera in hand, and helped pass out worksheets and pens. At 9:30, the lights dimmed, and Juliana began her presentation. I took a few moments to really sit back and take everything in; I noticed that, as expected, nearly everyone in the room was around my age. And to my pleasant surprise, I also noticed that Juliana was speaking to the room as she would any other group. While the topic of conversation was definitely geared towards my age group in its focus on building credit now at the beginning our careers, that’s all it was. There were no gimmicks to try to appeal to a younger crowd, and the conversation didn’t feel patronizing or like we were being scolded for not already knowing the information. I try to keep on top of my finances as much as possible. My dad works for a bank and my mom works in municipal finance, and they definitely instilled in me the importance of financial literacy from a relatively young age. I opened a credit card when I started college so that I could build credit and routinely put away a set amount of money each month. But there’s a lot I still don’t know or understand. I know my friends and I always joke about this, but they really don’t teach us this stuff in school! How much money should I be setting aside for my 401k? But wait a second, what’s the difference between a 401k, an IRA, and a Roth IRA and do I need to pick just one? And believe me, I’ve done all sorts of research on my own, but it’s hard to know what information to trust when you’re constantly bombarded with clickbaity articles such as “11 Things Beginners Absolutely MUST Know About Saving For Retirement” and “20 Things Every 20-Something Should Know About Credit” — to put it simply, it’s all very overwhelming. So to have a workshop series dedicated to helping people my age, I think that’s pretty special. While Juliana does a fantastic job picking topics that are interesting to us—such as credit, saving for retirement, and protecting your online identity—I think what makes these sessions especially valuable is getting to experience them with a group of likeminded people. All of the participants in the workshop were also just beginning their careers with Disney, and it was amazing getting to see everyone so involved in the conversation. People were taking notes and asking all sorts of question—questions I’d thought of before, but had never had anyone to ask. When the workshop ended, I felt two things: that I had learned a lot of valuable information, but also that I had found a resource that I would be able to utilize in the process of better understanding and securing my financial future. Which is fantastic timing because I just happened to receive my Disney Benefits package in the mail. And yes, I did manage to snap a few photos as well! Congrats, you’re a homeowner! Maybe you’re a first-time buyer who has just recently taken the leap into homeownership, or you’re a seasoned pro who has plenty of experience in the real estate game. No matter the situation, your home is likely the greatest asset you have. But how much is your home actually worth? While it’s easy to keep track of your savings and investments, it can be difficult to understand your property’s value, especially in today’s rapidly changing market. That’s where Partners’ new Find My Home’s Value comes in–a home valuation tool powered by HomeAdvantage™. There are many different factors that influence your home’s value: the neighborhood, the size of the home, and the current real estate market, to name just a few. Unless you’re a professional appraiser or seasoned real estate pro, it can be overwhelming to try and determine the value yourself! We make it easy: simply type in your home address and click “Estimate”. Of course, this value is an estimate. 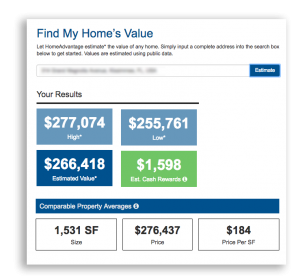 Based on calculations using local market data, our new Find My Home’s Value tool will present you with your home’s estimated value and the information on comparable properties used to calculate your estimate. And if you’re interested in a more in-depth estimate, you can also request a free, no-obligation market valuation with an agent in our HomeAdvantage™ program. Knowing the value of your home is a powerful tool; if you’re looking to buy or sell a property, understanding its value will allow you to make smart decisions throughout the process. What if you’re not interested in buying or selling your home? Understanding how much equity you have in your home may help in many situations, such as for insurance purposes, property tax, financial planning for the future, or other home loan options like Home Equity Lines Of Credits. So, what’s your home worth? We know our Members’ lives can sometimes be busy and hectic, that’s why we’re always looking for ways to make our representatives more convenient and accessible! When you’re already online and have a question or need assistance with your Partners account, who wants to pick up a phone? With Partners Online Chat, our friendly and knowledgable representatives are just a click away from answering questions about your account, assisting with any loan applications, and more. In fact, our online chat has gotten so popular with our Members, that we are excited to announce extended chat hours for those busy schedules! Beginning April 2, 2018, our expanded chat service will be available Monday through Friday, from 8 AM ET to 8 PM ET. We look forward to chatting with you online soon! If you are using a screen reader and are having problems using this website, please call 800.948.6677 for assistance.